The intent of the parties in entering into a premarital agreement is to limit expensive and adversarial litigation in the event of a divorce. We represent parties in the drafting or reviewing of prenuptial agreements. A prenuptial agreement is a contract made in contemplation of marriage wherein parties, prior to the marriage, can enter into an agreement which enables them to waive rights to which they may be entitled to and liabilities which may automatically be incurred upon their marriage. This contract can protect property for the children of an earlier relationship, preserve separate property, confirm what property will remain separate or community, and determine the issues which may arise upon a divorce. During your complimentary consultation, we will discuss what changes to your assets automatically occur legally (like community property) once you marry. 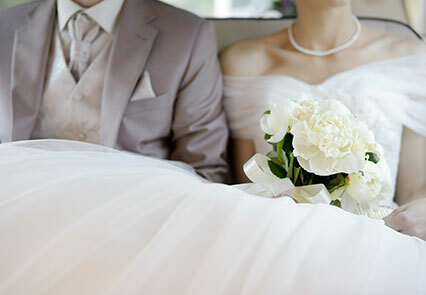 If your marriage should be dissolved, the prenuptial agreement can prevent these automatic changes and can avoid separate assets from becoming community property. Prior to our first meeting, we will send you a retainer agreement. After being retained, we will schedule a meeting wherein we will discuss what options are available to incorporate into the agreement regarding your assets including properties, income, investment accounts (such as stocks, etc. ), and retirement plans. We will draft the agreement for your review and approval. Once it has been approved, it will be presented to the other party. Call 818-994-4321 to schedule your complimentary consultation. We can also review and draft postnuptial agreements wherein the parties can contract regarding issues which may arise in the event that the marriage terminates and the parties seek a divorce. Arna M. Pillemer is the attorney on staff that assists with prenuptial and postnuptial agreements. © 2019 Pillemer and Pillemer All rights reserved. for individual advice regarding your own situation.